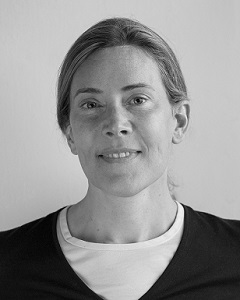 Bérénice Mettler’s research interests focus on understanding human control, perception and cognition underlying versatile spatial guidance and control skills. While most of her work involves vehicle guidance and control, she also specializes in spatial control skills used in other areas such as surgery and the operation of human-machine systems. She received her diploma in Mechanical Engineering from ETH in 1996, and her doctorate from Carnegie Mellon University in 2001. From 2001 to 2005, Mettler was a postdoctoral student and researcher at MIT’s Laboratory for Information and Decision Systems (LIDS). Between 2006 and 2016, she was an Assistant and then Associate professor at the University of Minnesota in the Department of Aerospace Engineering and Mechanics — where she received tenure in 2013. She started the Interactive Guidance and Control Lab at U of MN to concurrently study human and robotic control. Mettler has received several best paper awards, an award from Carnegie Mellon University for her contributions to the university, and first place at the International Aerial Robotics Competition. She received the NSF early award (CAREER), as well as the Presidential Early Career Award in Science and Engineering (PECASE). She is also the Founder and CEO of iCueMotion, which builds technologies to augment human movement skill training and rehabilitation.